Geelong’s first international passenger flight landed at Avalon Airport at 8.16am on Wednesday morning, carrying the first of an expected half million yearly passengers. 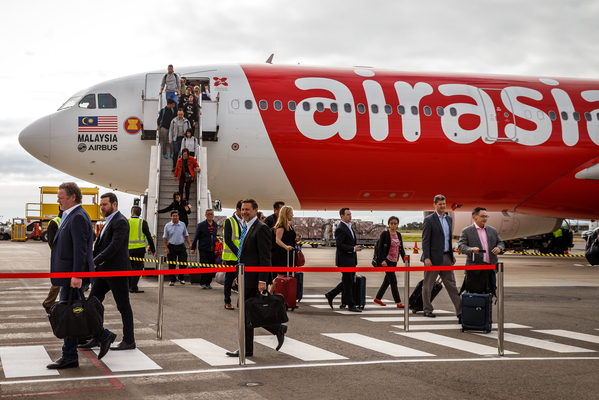 The AirAsia X flight touched down four minutes early, following months of construction on the airport’s new international terminal. Airport chief executive officer (CEO) Justin Giddings welcomed High Commissioner to Malaysia Andrew Goledzinowski, airline executives and about 300 passengers into Avalon. “Walking through (the airport) today I was just incredibly proud of the team that was able to pull this together,” Mr Giddings told a media conference. Mr Goledzinowski expected the flight to be popular among the 400,000 Malaysians visiting Australia each year. “I can tell you from living in Malaysia that Melbourne is their favourite city,” he said. Linfox Airports executive chairman David Fox thanked state and federal governments for their support. “It’s just an incredible dream come true,” he said. The landing sealed a 10-year deal between the Malaysian-based airline and Avalon Airport, following more than $48 million dollars of federal and state investment. 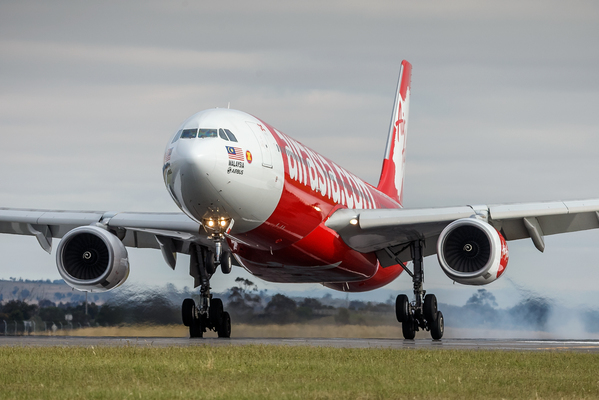 AirAsia X group CEO Nadda Buranasiri said the landing signified a new era for his company in Australia. 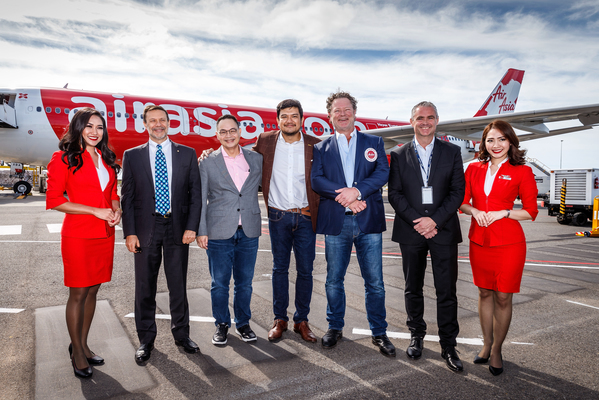 AirAsia X Malaysia CEO Benyamin Ismail addressed Melbourne travellers, after the Indy revealed last week the airline was attempting to win back customers in the city’s northeast. “For many Melburnians, Melbourne Avalon is much closer than you think and… more convenient and affordable when factoring in freeway traffic, airport congestion, tolls and offsite parking.